Run a business? You may be smart to get insurance. The problem is there are many types of business insurance. We set out the different types here. Business is a cruel world. It’s relentless, ruthless and it doesn’t take any prisoners. You can be hit with claims and lawsuits right, front, and center, without even having done anything you think is worth it. This is why it’s so important to get business insurance. However, there are quite a lot of types of business-insurance that you need to consider before you can rest easy. This is due to the various types of damages that a business can sustain. These damages can relate to libel claims, physical harm, property damages and financial losses that can cripple the company in some cases. Having insurance and paying your premiums on time can sometimes seem tedious, but they will eventually save you from things that many businesses are never prepared for. Here are 7 types of insurance that can help you survive whatever is thrown at you. Business Interruption Insurance refers to the coverage of any loss in income that a business can suffer. This can occur because of a financial disaster such as the financial recession or a natural disaster that renders the business unable to operate within its normal operating circumstances. The damages can be the result of rebuilding work after a disaster, be it natural or man-made, which impedes the normal operations of that business. This can include any forced shutdowns due to the authority of the government. This is different from property insurance, which helps reimburse any damage that the property owned by the business may have suffered in a disaster, which may be used in the rebuilding of the property. This type of insurance isn’t sold separately and can only be acquired as part of a business property insurance policy or a business owner’s policy. The technicalities of this insurance cover certain aspects of the business’ operations including the profits that the business may have earned, had the operations continued. This is verified by any financial statements that have recorded profits in the months prior to the disaster. 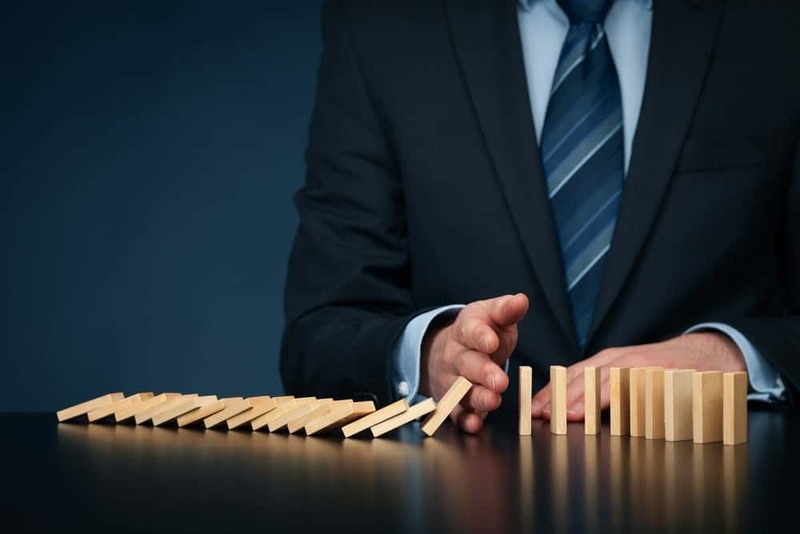 Business Interruption Insurance also covers any fixed operating costs or miscellaneous costs that the property has incurred based on historical records and any costs incurred in the move to a temporary location for continued operations. Any cost attributed to training and commissioning new employees is also covered, and so are any expenses that fall within reasonable limits that allow the business to continue operating. Vehicle insurance refers to insurance for any sort of cars, motorbikes, trucks, vans, SUVs or any other vehicles that a firm uses for business purposes. This can include cargo transfer, personal and professional use for employees, and use for long distance travel. Vehicle insurance is mainly used to protect against any physical damage that the vehicle may suffer due to traffic collisions, theft, vandalism, etc. It relates to any damage that the vehicle may sustain from external or internal elements. This includes damage that occurs due to altercations within the car, acts of vandalism such as graffiti, keying, damage from weather such as hail, snow and rain. Commercial Vehicle insurance can guarantee coverage for instances that are not covered by personalized auto policies and work for almost any type of vehicle. Vehicles are a big investment for businesses and their longevity and continued operation for years on end is a key factor in the business’ successful operations. This does not strictly only apply to a business that caters to cargo transfer or travel. The major point of vehicle insurance, like most insurance, is to protect an investment from unforeseen damage and to increase longevity so that it serves its purpose, making it a sound investment. Providing safe products to customers is a responsibility that every business takes. However, there is a slim chance with even the most meticulous and well known brands mess up and send out a defective or harmful product every once in a while. Hence, there is Product Liability Insurance. It insures your business against any damage that the product may cause to the customer from coming back to you. Any product that fails to meet quality standards or those that slip through the proverbial cracks in the system may have serious financial repercussions for the company. Hence, Product Liability Insurance is recommended for any business that supplies products to its customers. These could be products for ingestion, for repetitive use, or for single use and disposal. The use of these products can result in physical or psychological harm coming to the customer and may also result in harm coming to their property. This may incur considerable legal costs for the business if the customer is willing to sue for the damage that they’ve suffered. If you get Product Liability Insurance, you may consider yourself guarded against damage caused by any software that you supply or injury caused by any equipment you supply, and any illnesses caused by food, beverages or vitamins that you manufacture, the list goes on. The coverage also goes to any type of media product that you produce, including television shows, movies, commercials, or internet advertisements. The coverage can even extend to healthcare products and treatments that are given to patients such as massage therapy, medicine, etc. Also called Professional Indemnity Insurance or Errors & Omissions Insurance, Professional Liability Insurance helps you protect yourself from any professional damage that you may suffer due to the business. This includes any monetary losses or any physical injuries that you may suffer due to the businesses failure, if it is traced back to you. It includes any cost that you may suffer from lawsuits brought against you and exempts you from bearing the full cost of defending yourself in a libel case or any sort of lawsuit. Coverage can be provided for defense costs, even when the legal action is proven to be baseless. However, coverage doesn’t include criminal prosecution nor does it include potential liabilities under civil law that aren’t mentioned in the policy. Professional liability Insurance maybe required, by law in some areas, depending on the profession. This may include medical practice, legal practice, and psychiatric practice. Property Insurance is a policy that provides reimbursement of financial costs that are incurred when a property sustains physical damage. This can be the result of a natural disaster, vandalism, theft, etc. Damages caused by fires, lightning, smoke, wind, hail, the weight of snow, heavy rain, and tornadoes or typhoons are also covered. At these points the property insurance kicks in to ensure that the property is rebuilt and any damage that was sustained is completely repaired. Acts of war, terrorism and floods and earthquakes are covered, however. Three types of property insurance coverage include replacement costs; which allow anything that has been damaged or stolen to be replaced completely, actual cash value; which allows for the cash value of the damaged or stolen item to be reimbursed and extended replacement costs; which allow for more money to be issued if the cost for rebuilding or replacing the damaged portion of the house has gone up. Worker’s compensation allows for wage replacement and medical benefits for employees. This can be due to injuries caused in the line of employment due to equipment malfunction, harsh working conditions, and exposure to harmful discharge from certain equipment. It can also be due to damage suffered from falling debris from dilapidated property and negligence. Worker’s Compensation covers other aspects as well including disability that is caused due to an on job injury. The disability may be temporary, permanent, partial or total. It also covers any vocational rehabilitation. This is in relation to an injury that prevents them from performing the same job and lets them train to acquire new skills that can earn them a living wage. Worker’s compensation also covers death benefits which are afforded to the spouse and children or any minors in the family that are bereft of any source of income if an employee dies on the job. This is not dependant on the fact that the death is a direct result of an injury sustained on the job. Millions of business owners do operate out of their homes, hence there has to be some sort of insurance that they can rely on to provide protection for their home. The claims resulting from a third party due to injury at your home can be avoided if you get home based insurance for your business. This extends to any property that you have rented out as an extension to your business as well. For instance, if there is damage done to a property when you were operating inside of it, the insurance covers it. There is also professional liability insurance specifically for the home based business owner. If the business is sued for negligence, even if you’re at fault, the policy can cover the damages. A lawyer may even be appointed and all legal fees covered for you, up to the policy limit. Key Person insurance is just another name for life insurance. However, it pertains to the key decision makers and executives of a certain company. It could be for the owner, the Chief Executive, the founder, or a certain key employee. The insurance policy is purchased by the company on behalf of the key person, and if the person dies unexpectedly, the company receives the insurance payoff. This coverage is important to offset the loss the company faces once a key member passes away. Often, when a key member simply takes a leave of absence or falls ill, the company suffers a blow. If the key member dies on the job, the company may face uncertainty from key shareholders and negative speculation from the market. The Key Person Insurance or Key Man Policy simply reimburses the consequent loss. Key Person Insurance can be useful when dealing with debts, and paying back investors for their losses. However, it is unneeded if the company just employs a few people or doesn’t have significant investments that it depends on. In case the employees of that company are worried about their families in case they fall ill or pass away, they should consider getting life insurance instead. It is necessary for any business to have insurance so that unforeseen problems and claims are met with at an appropriate time and may be resolved post haste. 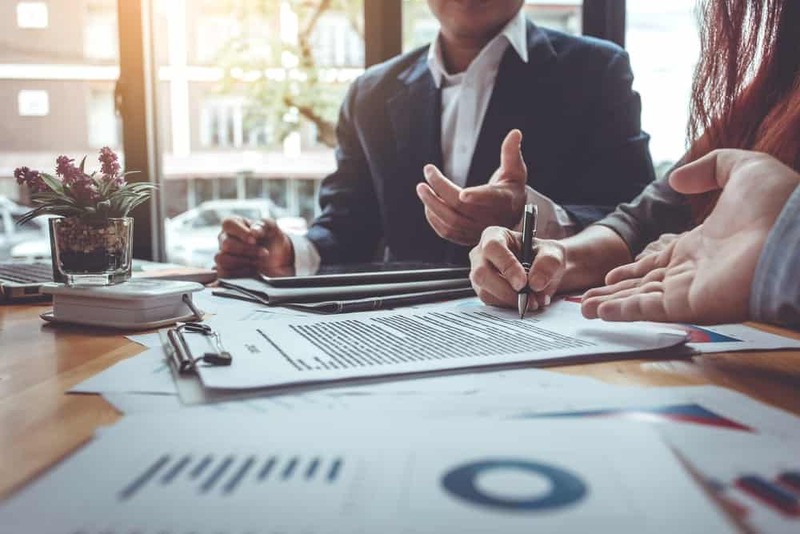 If you stick to these basic insurances depending on your business, you may operate with ease and without anxiety that you may be met with a claim you weren’t prepared for.